A light, refreshing, low-calorie cocktail made with fresh watermelon, lime, and mint. Omit the rum for a kid-friendly version! In a blender, in batches, puree watermelon. Pour through a fine mesh sieve into a liquid measuring cup, pressing on the solids to extract as much liquid as possible (about 3 cups), discard solids. 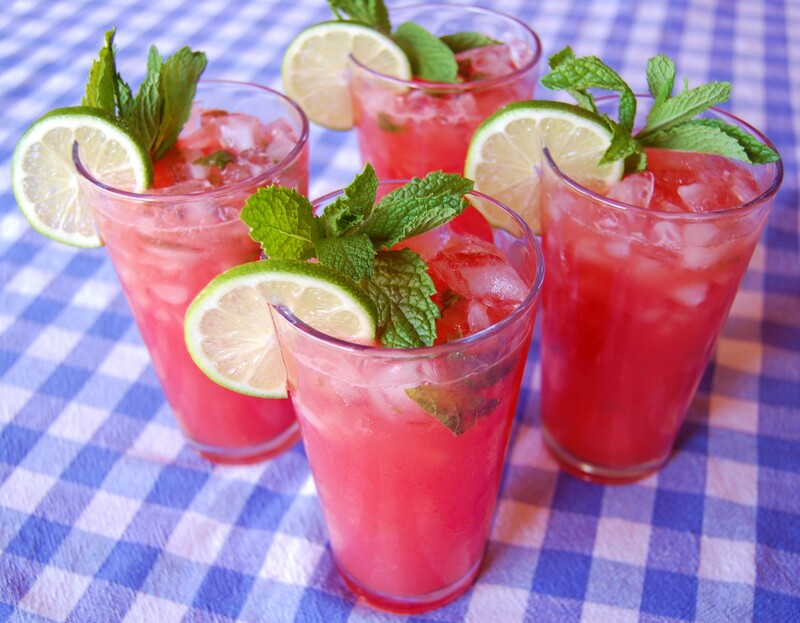 In a large container, combine mint, sugar and lime. With the back of a wooden spoon, crush mint and lime until sugar is dissolved. 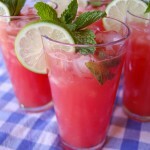 Add watermelon juice and rum, fill container with ice and stir to combine. Serve in glasses over more ice with mint sprigs.